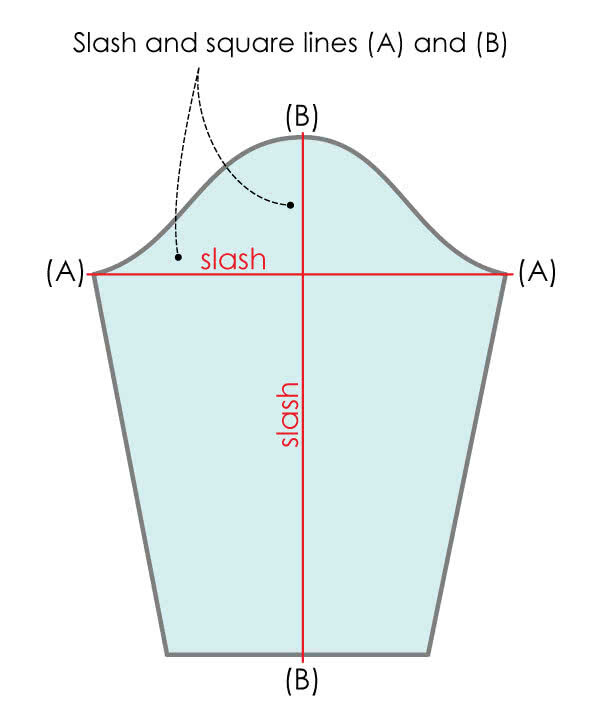 Slash and square lines (A) and (B). 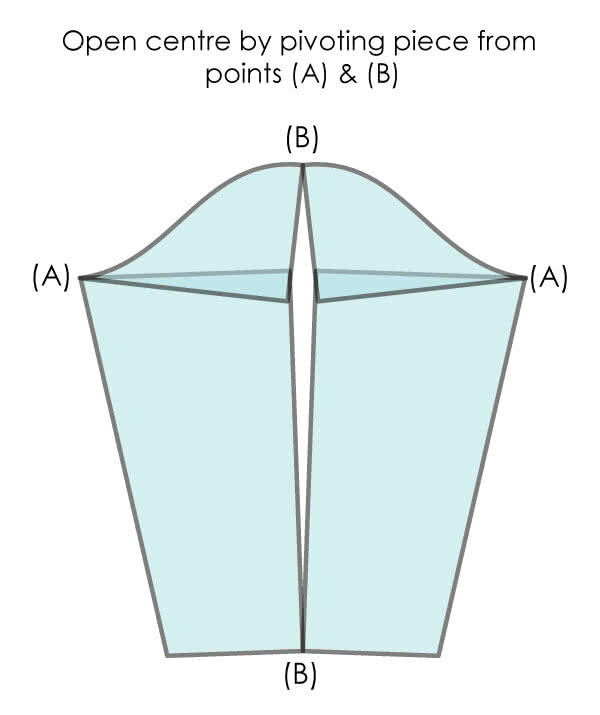 Open centre by pivoting pieces from points (A) and (B) – like shown on the diagram. Square off hemline. 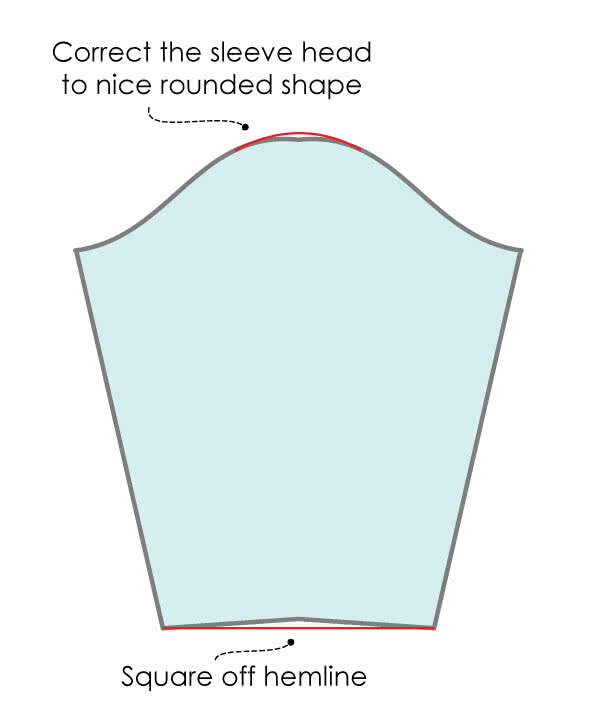 And smoothen the shape of sleeve head. 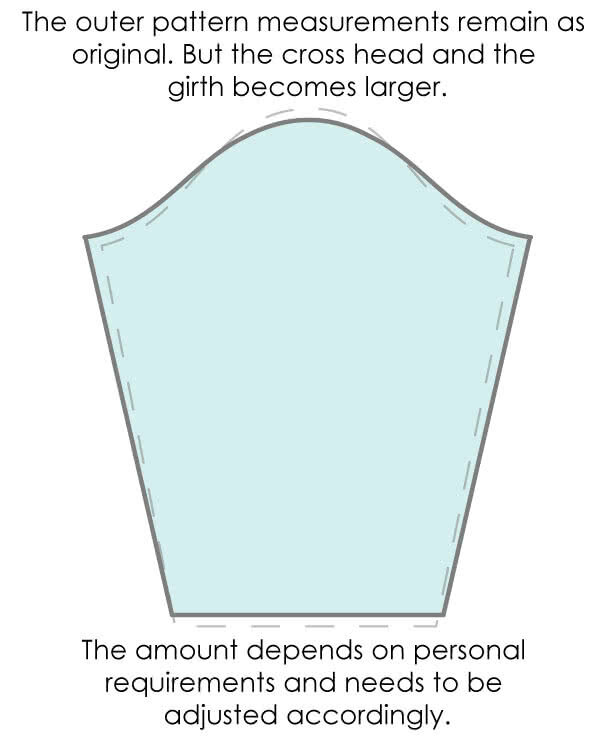 The outer pattern measurements remain as original. And the cross head and the girth becomes larger. The amount depends on personal requirements and needs to be adjusted accordingly.